The Fairchilds is a rock band spearheaded by the French singer/songwriter, Cyril Niccolai. Cyril persuaded cutting edge British producer Jim Lowe to embark on The Fairchilds journey even before landing a record deal. 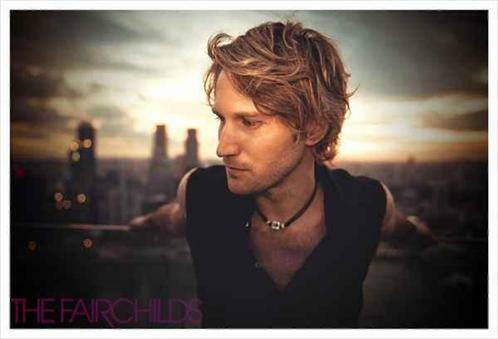 The Fairchilds will release their debut album Our Revolution via independent label Vertusent on September 27, 2011. Singer Cyril Niccolai sees his dreams realized with this release, having detoured from a career in medicine to follow his aspiration to become an international recording artist. Niccolai was raised in Nice, France, and contrary to the vision of his parents, his chosen path has become a case study displaying how perseverance and talent can make dreams come true. Niccolai is a modern Renaissance man of sorts. An accomplished singer and songwriter, he has spent a decade honing his skills and becoming an artist ready for the world stage. Contemporaneously, he studied medicine and law in university, engages in a variety of sports including tennis, golf and scuba diving, dabbles in still and video photography, has a keen interest in literature and art, and aspires to run the New York City Marathon. For now though, his focus is purely on The Fairchilds. The bands moniker is a tribute to a Fairchild vintage amp used in tracking the debut recording. Our Revolution is a compelling compilation of twelve tracks ranging from sing-along rock anthems to haunting ballads. The cumulative evolution of Niccolais talents as a writer attests that he has found a voice that is with certainty his own. The first single Unbreakable is a poignant commentary on the pursuit of ones dreams against the odds. The Christmas prior to recording the album, the singer was at his family home in the Cote dAzur with the album weighing heavily on his mind. He shares, I was due to start recording in April and while I had enough strong repertoire for the release, I felt something was lacking. He was on the clock, and with a commitment to appear in a French musical for three months, the creative impetus of this quandary delivered Unbreakable. He offers, The song is a dedication to everyone who is going through a tough phase and the message is 'Hang in there, dont lose hope. Niccolais perpetual need to challenge himself is deeply rooted. He is the son of successful doctors, and he chose to trade the stability and predictability of a career in medicine for the bohemian lifestyle of a singer and songwriter. Unbeknownst to his parents, he auditioned for the role of the poet Gringoire in the smash French musical Notre Dame de Paris. He landed the role and with that opportunity summoned the courage to tell his parents of his plans for a career change. The news was not well received, but his performance at the premiere left them no doubts about his potential in his new career.